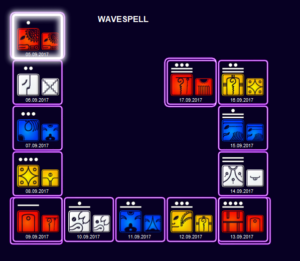 Today we start a new cycle of time. 13 days of the Red Serpent Wavesepell. Interesting to note is that this cycle has 10 GAP (Galactic Activation Portal) days in a row, one of only two 13-day cycles to have this. Galactic activation portals can be seen as dimensional doorways which are opened. These doorways have the potential to bring a huge new energy that has no relation to anything we have experienced before, which puts us into survival mode as we deal with what we have not known before and have no previous experience to base our actions upon… So saying this you are prepared?.These are intensive days, in which many things can be transformed. It requires a strong focus. The Serpent represents ancient energy, flowing from the earth up your spine. Your body is the channel, the entrance to the cosmos. Are you comfortable in your body? Does the energy flow without obstructions? Do you listen to your body? Where are your blockades? What is causing them? These days can be filled with extremes. During the GAP days our Planet receives higher frequencies and our awareness is amplified.If we are connected from our soul, it represents a great opportunity to consciously accelerate our Awakening by gaining a better understanding of cosmic energies. But, if we are living in the illusions created by our ego, these days can also be very intense and “chaotic”. Red Serpent qualities: Passion, sexual energy, life force, vitality, sensing, body wisdom, instinct, creativity, serpent, integration, intimacy, motivation, desire, kundalini, purification. 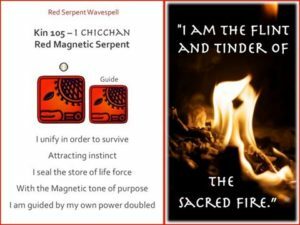 Red Serpent invites the purifying spark of the sacred fire, the kundalini, to align and integrate your body, mind and spirit. 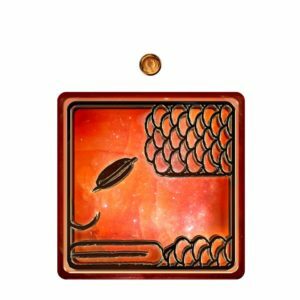 Red Serpent can help you uncover apparent blockages in specific chakras to clear an align them. If you are working on a process of purification, invite Red Serpent to assist you. Red Serpent’s symbol is the serpent, representing healing and wholeness. Red Serpent is also known by the Maya as the kultanlilni, or kundalini, the energy that moves up from the base of the spine and out through the crown chakra. When the seven chakras are fully activated, one experiences an enlightened state. With the energy of Red Serpent, you learn to use the innate intelligence of the body. In this culture you may have become separated from this wisdom. It works like this: when you suppress and ignore your issues, your body receives and retains the unconscious metaphors of that which is ignored. This may be expressed through physical symptoms that bring your unconscious issues to conscious awareness. When this happens, work toward a more conscious relatonship with your body – and work with the physical metaphors in order to heal yourself on all levels. In this alignment process, you can use images or energies that come to you in meditation or dreams. Journey through your body to catalyze and explore any sensations, colors, shapes, or images. In these times we have a profound opportunity to transcend both our physical and our spiritual genetics. The body’s integration provides an unparalleled opportunity for personal evolution. Learn to expand and utilize your senses to access your body’s wisdom and vitality. Don’t ‘think’ about it; simply allow your body to sense intuitively the solutions necessary for change and growth. Red Serpent also represents the connection between powerful physical/ecstatic experiences and the light of higher consciousness. This is an initiation of awakening through the body and senses, rather than in negation of them. As Jose Arguelles says in The Mayan Factor, “Like the Maya, we shall understand that the path to the stars is through the senses.” Within the body are held the keys to fully awakening our consciousness. This deeper understanding is expressed in tantric practices, where spirituality and sexuality are integrated and honoured as a means to enlightenment. Red Serpent represents the integration of mind, body and spirit. Use the body as a tool for transformation. Learn how to use passion and the senses as a means of access and alignment to higher consciousness. Follow your gut-level intuitions and instincts to make choices in the moment. Be willing to look at issues you have concerning intimacy and sexuality. Make sure that you are not separated from the dance of passion that is in union with your divine nature. Sense your deeper desire for union and intimacy. 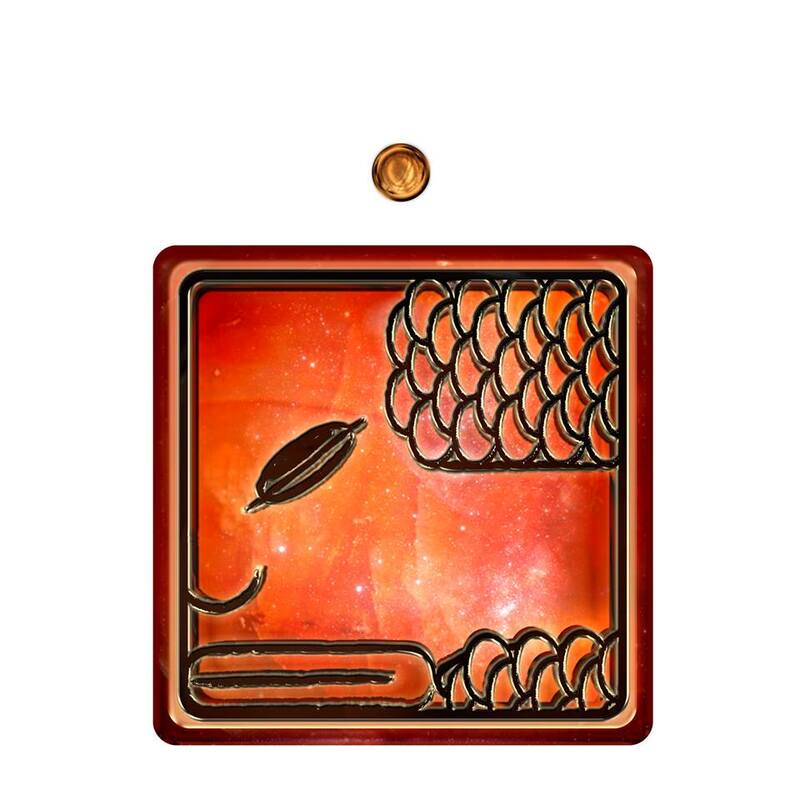 Red Serpent calls on you to awaken your vitality, body wisdom, and passion for life. Thank you sister for this information for i too struggle to tap into self and need guidance. To exemplify the courage to change is already heroic.